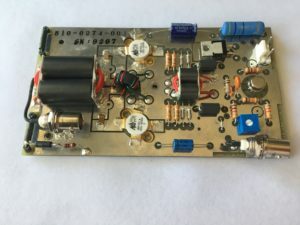 March Plasmod RF Amp board. 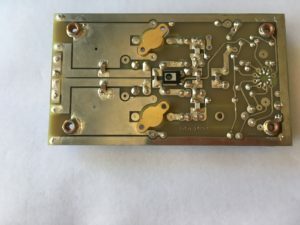 Glow Research has reversed engineered and now makes the replacement RF amp board. 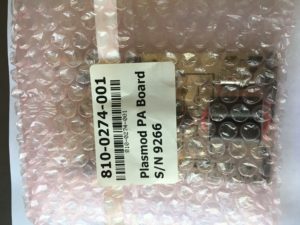 We find that this board is one of the primary failure items in the March Plasmod. The price is $1,600. This board can be used in some Tegal Plasmods. Glow Research makes new and rebuilds plasma systems.